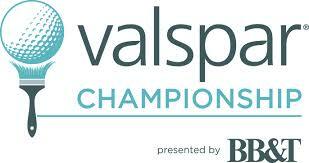 A strong field has assembled itself for this week’s Valspar Championship which takes place in Palm Harbor, Florida. Adam Scott heads the betting and can be backed at 13/1 to win and the likes of Jordan Spieth and Henrik Stenson are not far behind him in the betting. Copperhead Golf Course is a par 71 that plays a testing 7,340 yards. As you can see from the results of the past winners, this is one of the tougher courses on the PGA Tour. The fairways are treelined and water comes into player on a number of holes. The final three hole stretch at Copperhead Golf Course is known as the ‘Snake Pit’ and it’s one of the toughest finishing stretches on the PGA Tour. There are some very strong trends that I’ll be focusing on this week and the first of those is driving accuracy. In the 2013 and 2014 renewals of this event twelve players finished inside the top five (including ties) and of those twelve players, ten of them were ranked inside the top 67 players on the PGA Tour in terms of the driving accuracy statistic in the year they finished in the top 5. This shows how important driving accuracy is this week as 83.33% of the top 5 in 2013 and 2014 were ranked well above average in driving accuracy. Another important trait this week is putting in my opinion and the players that have featured towards the top of the leaderboard over the years back this up. Five of the last six winners of this event were ranked inside the top 51 in terms of strokes gained putting on the PGA Tour in the year they recorded their victory. It’s also worth noting that of the 20 players to finish inside the top five (including ties) over the last three years, 70% of them were ranked inside the top 40% of putters on the PGA Tour in the year they recorded their top five finish. Jim Furyk – I rarely back players as short as 22/1 but I’m happy to back Furyk at that price this week. He’s made a solid start to the year recording three top 15 finishes in three starts. Last week he tied for 12th in the WGC Cadillac Championship around a course that was set up for bombers and Furyk is short off the tee. He hit an impressive 68% of greens in regulation and more fairways than any other player, this suggests his game is in good shape. Furyk’s course form is excellent, he’s finished inside the top 20 in his last five starts around this track and he won this event in 2010 as well as finishing 2nd in 2012. This isn’t surprising given how his game suits Copperhead golf course. Brendon Todd – Brendon Todd is a player I rate very highly and he should be priced considerably shorter than 66/1 in my opinion. Todd was excellent throughout the whole of 2014, he recorded seven top ten finishes and that includes his victory in the HP Byron Nelson Championship. The American has made a steady start to the 2015 season, he’s recorded a couple of top tens and he tied for 23rd in the WGC Cadillac Championship last week which was played around TPC Blue Monster which doesn’t suit his game. Copperhead Golf Course should really suit Todd’s game, he’s accurate off the tee which is crucial and he is one of the best putters on the PGA Tour. Last year he ranked 6th on the PGA Tour in terms of strokes gained putting and this may well prove to be the key statistic this week.